Welcome to Andrew Stone Optometry! We serve the Columbia MO community with top-notch optometry services that utilize all the latest advances in vision and eye care. Whether you have a refractive error to correct or recurring pain to relieve, your Columbia optometrist will put together a treatment plan based on your specific needs. But first, we need to know more about you! We've put together a few new patient resources to help you prepare for your first eye exam at Andrew Stone Optometry. We respect your time, so we want to make your first visit smooth and spend as much time as possible on the exam itself. To minimize your wait and maximize your quality time in our office, we recommend you fill out these new patient forms at home before your appointment. Download our welcome packet to get started, and take your time answering the questions so that we have a better sense of your treatment needs. Our reception staff and optometrist will review your completed paperwork as soon as you arrive, and you won't have to scramble to think of relevant details in our waiting room. Everyone wins when you fill out forms ahead of time! Our optometry team is proud to use state-of-the-art equipment and up-to-date treatment methods in a clean, comfortable optometry center. But don't take our word for it! We've also harnessed the power of technology to show our patients and prospective patients exactly what to expect. Take our virtual office tour now to see exactly where your eye exam will be. 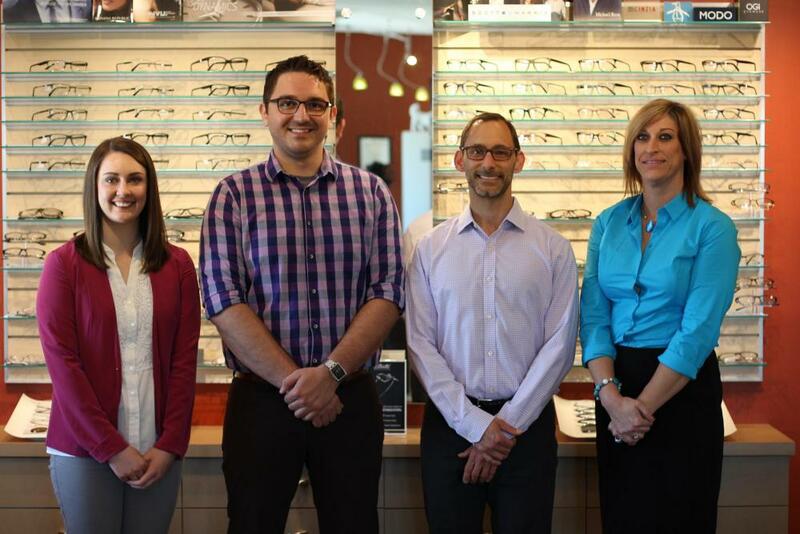 Check out our extensive display of eyeglasses and frames, preview some of the diagnostic and treatment equipment we use every day, and see the smiling faces of our talented optometry team here in Columbia MO. Still haven't taken your first step toward eye care at Andrew Stone Optometry? We are currently accepting new patients, so let us know if you need an eye exam. Call us or fill out our online request form to schedule your first appointment with our Columbia eye doctor. Just call 573-445-7750 or click "make an appointment" on our homepage to get started.